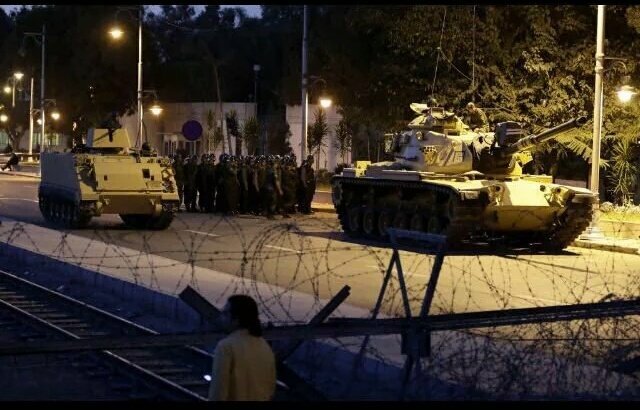 Turkey Coup Army Attack: is in bad times as Military opened tanks and fighter jets on the roads. We are updating every single development live from Istanbul citizens using Twitter feeds.Reports that social media is blocked in Turkey. Use email/phone call/SMS to contact loved ones in the area. Erdogan: The chain of command has been violated. This is a step against the higher ranks by their superiors. Erdogan vows ‘coup’ plotters will not succeed, he adds that he is returning to Ankara. Turkish state broadcaster TRT says curfew declared across Turkey, airports closed. President Obama has been briefed on the unfolding situation in #Turkey and will continue to receive regular updates, White House says. People just want to leave the country before any mishap. Reports of lines forming to withdraw money from ATMs. State Dept. advises U.S. citizens in Turkey to shelter in place and stay indoors. BREAKING: Erdogan has reportedly left Turkey and has moved to a secure facility. He was on vacation at the time of the coup. Turkish military released a statement, saying armed forces have ‘fully seized control’ of the country. The military said they had taken control to protect human rights. However, prime minister Binali Yildirim said only a ‘faction’ was involved. Attempt to control media? Turkish Soldiers are now in the building of Turkish State TV.